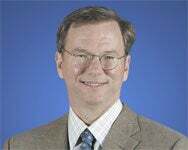 The Federal Trade Commission may be taking an interest in Eric Schmidt’s role as a member of Apple’s board of directors, but the Google CEO doesn’t see what the big deal is. Speaking to reporters before Google’s annual shareholders meeting, Schmidt said he had no plans to step down from Apple’s board and predicted that the government’s probe wouldn’t find anything wrong with the close relationship between Google and Apple, according to this Associated Press report. Earlier this week, the New York Times broke the story that the FTC was looking into whether the close ties between the boards of Apple and Google violate any antitrust laws. A provision of the Clayton Antitrust Act of 1914 bars someone from serving on the board of two rival companies if it means reduced competition. The feds doubtlessly have mobile phones on the brain, since Apple makes the iPhone while Google produces the Android operating system that powers competing smart phones. Both Schmidt and former Genentech CEO Arthur Levinson have seats on the boards of directors for Apple and Google. Prior to Thursday’s shareholder meeting, Schmidt told reporters that he recuses himself from Apple board discussions when the subject of the iPhone comes up. 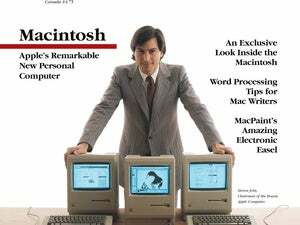 And he dismissed the notion that Apple and Google are business rivals, given that his company primarily focuses its efforts on search. “I don’t think Google sees Apple as a primary competitor,” Schmidt says in this Wall Street Journal report on the meeting. Schmidt has served on Apple's board of directors since 2006.